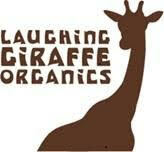 Laughing Giraffe Organics aims to provide products made with only the finest organic ingredients. These snacks are GMO-free and organic and offer different varieties of Snakaroons and Snakarola. The Snakaroons are a mix of macaroons in a variety of flavors and Snakarola is more of the granola variety. Some flavors offered include Aztec Chocolate and Coffee Bean.